What does religion look like in Romania? Data visualization tends to tell stories you weren't expecting. 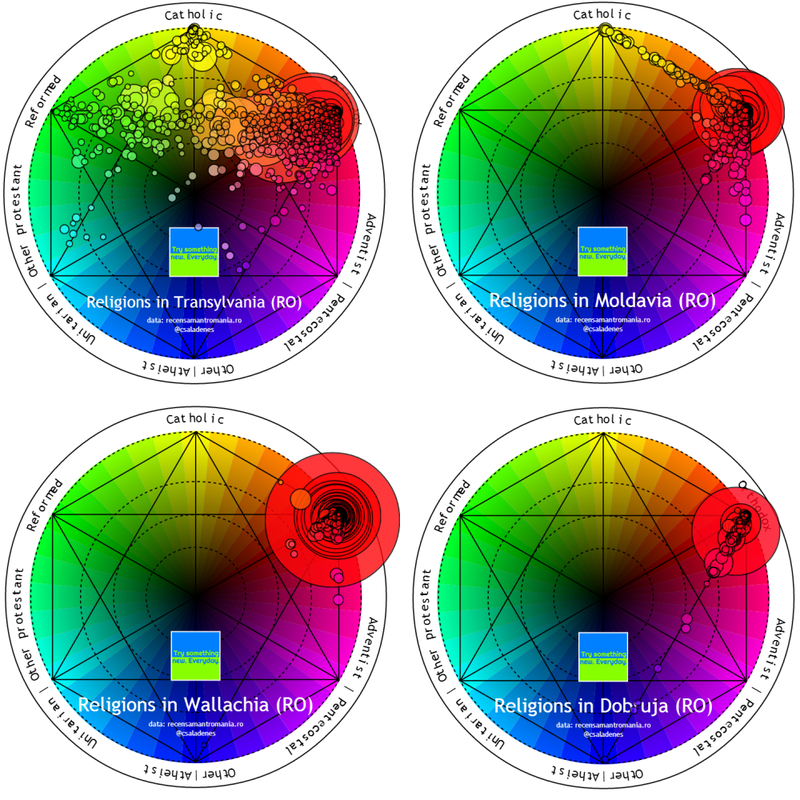 Dénes Csala found this in his project, Religious Diversity in Romania, which uses colour wheels and maps to see the religious breakdown of Romania in new ways. 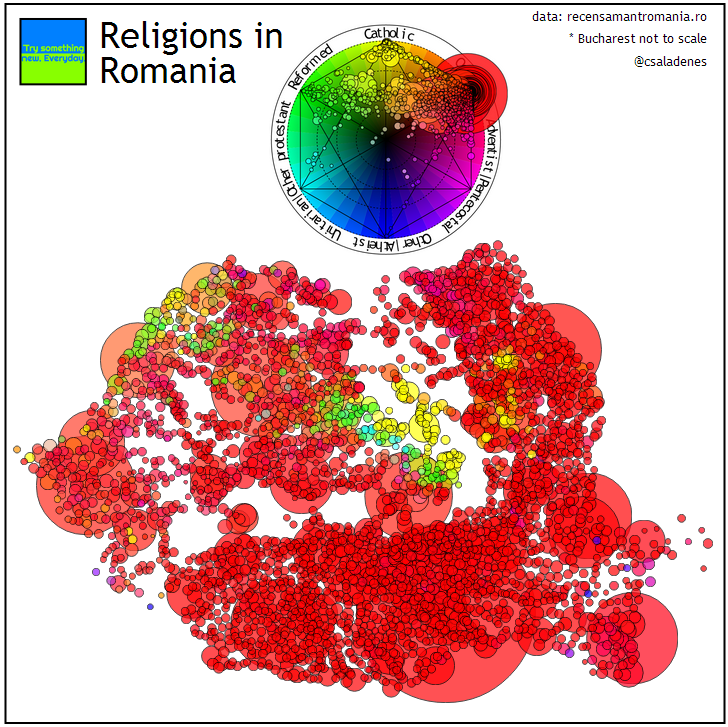 One of the visualization’s key findings is that Romania’s religious diversity is highest in its central region, Transylvania. Once outside of this central region, there is a tendency for ‘clustering’. In other words, followers of the same religion live together in population blocks. Across the visualizations, bubbles are used to show a particular settlement, with colour indicating the dominant religion of that settlement and radius the relative dominance of that religion within the settlement. A full breakdown of the data is available by hovering over each bubble. Data is taken from the Romanian National Census Bureau and processed into JSON format. Dénes Csala is a Graduate Research Assistant at the Masdar Institute of Science and Technology in Abu Dhabi. He is also author of the blog, Try something new. Everyday., where you can find out more about the project and his other data visualization work.